The Galleria, Houston is just one of the 104 new maps released this week for the Micello Maps application on iOS and Android. What makes it special? Well, it happens to be the largest mall in Texas, housing over 375 stores, restaurants, and high end boutiques, while attracting 24 million shoppers per year. A shopping district in itself, the Galleria features Neiman Marcus, Nordstrom, two Macys, a Saks Fifth Avenue, Cartier, Gucci, Burberry, Apple, and Louis Vuitton, amongst others. Care to go skating? Then check out the indoor skating rink. Need a place to stay? Pick from two Westin Hotels. 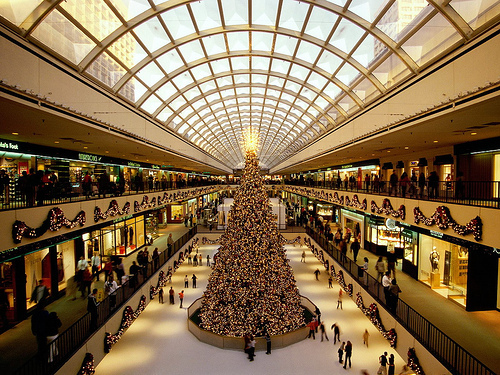 The Galleria isn’t just a shopping destination, it’s a tourist destination. And of course, with over 2.4 million square feet to peruse, you’ll want an accurate map in the palm of your hand to help you navigate through, and discover, this amazing space. Check out the The Galleria in the Micello application today — in addition to over 2000 other locations! Micello: Indoor Cartography · Browse the world’s most accurate indoor maps.